If your Waterbury area home or business has suffered flood damage, the pros at Restoration 1 of Southern Connecticut are standing by ready to help. We pride ourselves in responding to flood damage quickly, as quick action is often critical in order to prevent or at least mitigate serious structural or other damages that may be a risk due to flood damage. While any area of your Waterbury area home can be affected by flooding, much of the flood restoration performed deals with flooded basements. There are unique dangers posed by wet or flooded basements, so it's important to call a flood damage professional like Restoration 1 of Southern Connecticut if you have experienced basement flooding in your Waterbury area home or business. Potential structural damage, mold and mildew growth, toxic or contaminated water, electrical problems, and many other potential problems can be a result of flooding. At Restoration 1 of Southern Connecticut, we use only modern equipment to dry out your Waterbury area home or business after flood damage has occurred. It is important for the areas affected by flood damage be properly dried to prevent mildew, mold, or other moisture related issues. We'll make sure that the flooded areas are dried out and that your Waterbury area home or business is restored to its pre-flood condition. 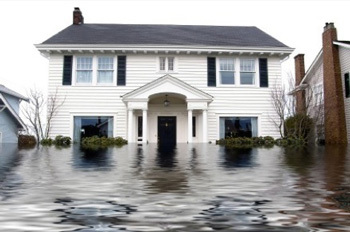 Contact us at 475-234-2882 so our skilled professionals can help you with your Waterbury flood damage issue.